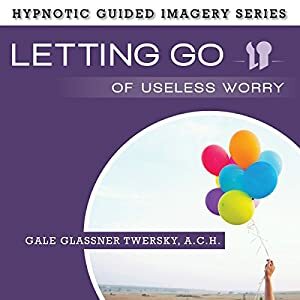 Gale Glassner Twersky, A.C.H., a Top Selling Audio/ Audiobook/ Book Author and Hypnotherapist (since 1999), is a Hypnosis Instructor, Creator of the Reprogramming Hypnosis System/Certification and has been honored with the International Hypnosis Federation "Excellence in Communication" Award. After the intro, Gale begins with a progressive relaxation throughout your entire body as she gently guides you into hypnosis, a relaxed, altered state of mind. Hypnosis brings awareness of communication between you and your subconscious mind, also known as your "Silent and Invisible Partner". Gale, your facilitator, has strategically selected all Reprogramming Hypnosis suggestions that include all your motivating sensory imagery for best results. Many such suggestions increase your high self-esteem and high self-empowerment to support your success in problem solving. Your inner wisdom assists you in identifying the solutions. Download positive emotions, positive thinking and more! In this audio, Gale's soothing voice gently guides you into deep relaxation using a progressive, total body release of all tension, anxiety and stress. Your high self-esteem suggestions promote a subconscious program of loving and accepting yourself unconditionally in all aspects. The hypnotic guided healing imagery is multi-sensory, connecting you to powerful healing energies of Nature's beautiful light frequencies and Nature's universal love. These powerful, healing light frequencies travel throughout your mind/body/spirit cleansing every cell, healing over and over again. Also, Gale guides you to release all subconsciously attached negative emotions such as fears, anxieties, hatreds, sadness, regrets, anger, guilt, etc. Thus, you effortlessly and comfortably attain peace of mind, harmony and balance on both conscious and the crucial subconscious levels. You enjoy Reprogramming Hypnosis suggestions that download happiness as your permanent state of mind regardless of what happens around you. This supports your immune system for self-healing on every level. Additionally, you program your self-empowerment belief that you cope with whatever comes your way and you are fine. This supports your positive perspective that relieves anxieties and fears. Healing with Nature's Frequencies always will be comforting and beneficial for your relaxation, sleep, self-empowerment and especially for self-healing. 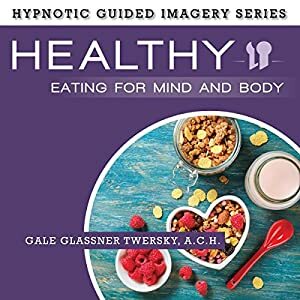 Gale Glassner Twersky, A.C.H., a Top Selling Audio/ Audiobook/ Book Author and Hypnotherapist (since 1999), is a Hypnosis Instructor, Creator of the Reprogramming Hypnosis System/Certification and is the honored recipient of the International Hypnosis Federation "Excellence in Communication" Award. Following the intro, Gale guides you into a gentle, full body, muscle relaxation that allows for the peaceful hypnotic state of mind. Subsequently, the positive hypnotic guided imagery suggestions reach your subconscious to download your healthy eating program for mind and body. Your subconscious programming is what ultimately motivates/directs/creates your food choices and eating behaviors. Unfortunately, the subconscious, although serving as your advocate and friend, may make unintended mistakes about your eating habits. Importantly, the Reprogramming Hypnosis suggestions help you correct those mistakes by deleting and reprogramming them in your computer-like subconscious mind. You also benefit while asleep since your "Suggestible Subconscious" still hears and responds to the suggestions in this audio. 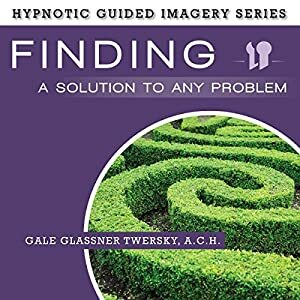 Gale Glassner Twersky, A.C.H., a Top Selling Audio/Audiobook/Book Author and Hypnotherapist (since 1999), is a Hypnosis Instructor, Creator of the Reprogramming Hypnosis System/Certification and has been honored with the International Hypnosis Federation "Excellence in Communication" Award. After Gale's informative intro, you experience a gentle, progressive muscle relaxation into a hypnotic state of mind that enables the positive suggestions to be downloaded successfully into your subconscious, your computer-like, inner power that controls letting go of useless worry. Gale's soothing voice offers important self-esteem and self-acceptance suggestions that program self-empowerment so you are more in control of your thoughts, feelings and actions. Your new belief is that you can cope with whatever comes your way and you are fine. Worry is only useless waste of time and energy. Also, your new subconscious programming directs your mind/body/spirit to download peace of mind, harmony and balance. This helps you to feel calmer and more in charge. Your self-confidence and inner knowing are increased greatly. You are prompted to sense feeling complete and whole again, remembering that you are your own best friend. You sense tremendous possibilities with a positive perspective. Whatever negative emotions are within you, such as fears, you release, neutralize, cleanse and delete them all. You establish forgiveness for you as well as for others on the subconscious level as part of releasing negative emotions and gaining freedom from worry. New suggestions download nurturing feelings of being loved and accepted completely. And there is so much more! This audio concludes with your participation in a healing circle for you, your family, friends and all the people who need healing. You enjoy a release of endorphins because you are helping others in addition to helping yourself. 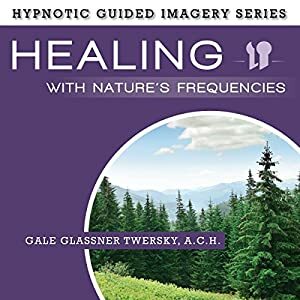 Gale Glassner Twersky, A.C.H., a Top Selling Audio/Audiobook/ Book Author and Hypnotherapist (since 1999), is a Hypnosis Instructor, Creator of the Reprogramming Hypnosis System/Certification and has been honored with the International Hypnosis Federation "Excellence in Communication" Award. Many people have challenges when it comes to working under pressure to give a top performance of any kind: for a job, sports, public speaking, a test, an interview, etc. Maybe your nerves, panic attacks or other bad reactions have sabotaged you. Maybe you just want to improve and be your best consistently. The remedy for these challenges resides in your subconscious mind. Your subconscious is your "Silent and Invisible Partner" intended to advocate for you; yet, your subconscious may make programming mistakes. Once it has downloaded a program for you that it believes will help, please and/or protect you, it never re-evaluates its choices or corrects any mistakes. No, you have to be the one to initiate the reprogramming. Program excellent memory, both mental and motor memory. Gale, as your facilitator, begins the hypnotic guided imagery with a gentle, progressive full body relaxation into hypnosis so you directly communicate with your subconscious. It is certain that we all have experienced disappointments and failures of one sort or another. Consciously we may put them out of our mind and move on. However, subconsciously speaking, these events often initiate negative emotions and negative thoughts about failing that in turn automatically create (outside your awareness), low self-esteem subconscious programs. Low self-esteem beliefs that may have been downloaded are: "I am not good enough; I am not smart enough; I am not talented enough; I am not successful; I cannot succeed; I am a failure; it hurts too much to fail, so I won't risk failure; I won't try, so I will be safe". Such mindsets are capable of sabotaging your success. Do you ever find yourself angry about the anger you feel and just won't let it go, or frustrated with you incessant feelings of frustration? Do you get impatient with you impatience because you're not perfect at being imperfect? We often find ourselves twisted in a world of emotional and spiritual dichotomies - created by our minds. In fact, many of us see our mind as the enemy, and the greatest obstacle to our spiritual liberation. Not so. 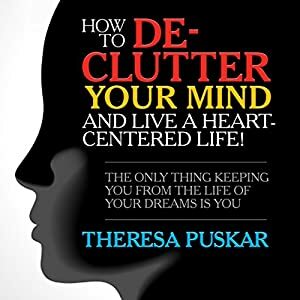 In this illuminating program, Theresa Puskar sheds light on many of these dichotomies, sharing theories, anecdotes and techniques that will assist you in making peace with them in your life. Each dichotomy carries great wisdom and life lessons, and there is enormous freedom in dissecting what they are truly saying to us about ourselves. Join Theresa as she explores how to find joy in unraveling these dichotomies. In doing so, you can cultivate a greater love and acceptance for yourself and your brilliant mind! Over 35 powerful, life-changing exercises including Fear Inventory; Allowing Yourself to Need; Releasing Shame; Enhancing Relationships; Protection Bubble; Cutting Energetic Chords; Healing Body Scan; Finding Your Passion; Getting Unstuck...and many more! Over the years, best-selling author and renowned Harvard economist Harry Dent has accurately predicted the dot com bust of the early 2000s, the crash of the US housing market in 2006, the financial meltdown of 2008, and the plummet in crude oil prices in 2015. Now he's back with a bold new forecast - one that calls for gold to take a disastrous dive in price, all the way down to $250. 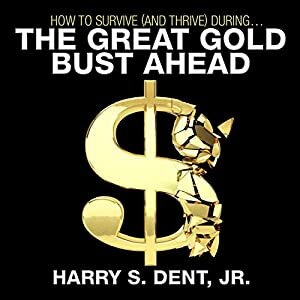 In his brand new audiobook, How to Survive (and Thrive) During the Great Gold Bust Ahead, Harry warns investors that moving their assets into gold isn't the safe haven they think it is - and why it won't protect them from the biggest market collapse since the Great Depression, set to hit in 2016. The unstoppable economic forces heading our way that will result in a collapse in gold prices (chapter 1). Why the inflation crisis in America is a myth, despite our money overprinting and how gold will suffer because of it (chapter 2). Exactly how low gold prices will drop in the next five years (chapter 3). The predictable 30-year cycle gold follows and where we fall in it right now (chapter 4). Details on his "trade of the decade", which could be the safest (and best value) investment you can make over the next 10 years. But there's a limited window to get in on it (chapter 6)! Author(s): Harry S. Dent Jr. I Know How to Lose Weight so Why Can't I Keep It Off? The brain likes the familiar, and that includes your body weight, even though it may not be healthy. 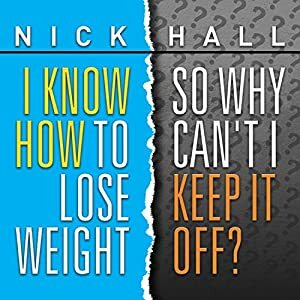 This audiobook, I Know How to Lose Weight so Why Can't I Keep It Off?, describes the biological obstacles that can make it extremely difficult to keep those lost pounds from coming back as your body fights to regain its comfort zone. Understanding how it all works is the first step in achieving your wellness goals. With this understanding, you'll realize there are ways to take control. Once and for all, you'll learn strategies to keep those pounds off regardless of which weight loss approach you initially employed. Author(s): I Know How to Lose Weight so Why Can't I Keep It Off? 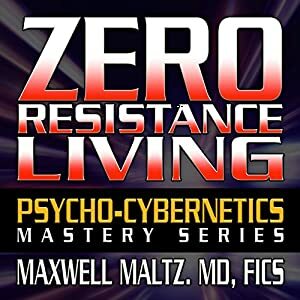 Maxwell Maltz was an American cosmetic surgeon and author of Psycho-Cybernetics, which was a system of ideas that he claimed could improve one's self-image. In turn, the person would lead a more successful and fulfilling life. He wrote several books, among which Psycho-Cybernetics was a longtime best seller - influencing many subsequent self-help teachers. His orientation toward a system of ideas that would provide self-help is considered the forerunner of the now popular self-help books. The word cybernetic comes from the Greek for "steersman" and in the modern sense usually refers to systems of control and communication in machines and animals: how, for instance, a computer or a mouse organizes itself to achieve a task. 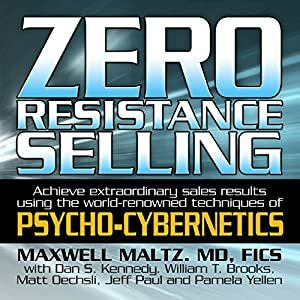 Maltz applied the science to man to form psycho-cybernetics. However, while inspired by the development of sophisticated machines, his book denounced the idea that man can be reduced to a machine. Psycho-Cybernetics bridges the gap between our mechanistic models of the brain's functioning (clichés like "your brain is a wonderful computer") and the knowledge of ourselves as being a lot more than machine. Maltz's genius was in saying that while we are "machines", and while the dynamics of goal setting and self-image might best be described in mechanistic terms, the fantastic variety of our desires and our ability to create new worlds are uniquely human. What could never be reduced to machine analogies are the fires of imagination, ambition, and will. 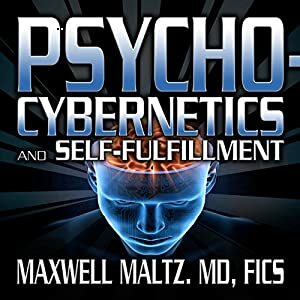 In this book, Psycho-Cybernetics and Self-Fulfillment, Dr. Maxwell Maltz teaches about: goals, self-image, happiness, and much more. Read by Matt Furey, the president of The Psychocybernetics Foundation. In every moment of every day you have access to an innate wisdom - your own inner sage. Unfortunately we often get caught up with our routines and the dramas of life, and we forget how to operate from this level of wisdom. 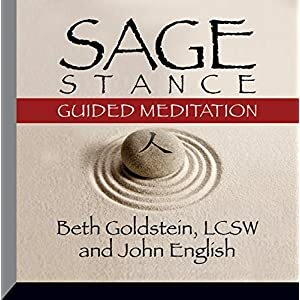 The Sage Stance Guided Meditation shows you how to access this wisdom and how to act with the full power of the sage that has been within you all along. Includes the option of listening to a male or female voice. The greatest adventure in our lives is to learn the art of being happy. Happiness, like worry, is a habit, just as tying a shoelace or brushing our teeth becomes a habit. And, as you'll learn in this audiobook, it takes only five minutes a day to install happiness as a lifelong habit. Once the happiness habit is developed, it becomes a permanent part of your personality - requiring little or no effort on your part. You'll learn that tensions are at a minimum when we are happy. We cannot eliminate tensions altogether, yet wherever possible we must stand up to these tensions and stresses to develop our mental and spiritual muscles, just as in a game an athlete shows his abilities best under stress. In this program, you'll learn that we have a built-in success mechanism and a built-in failure mechanism, and it is up to us to utilize the success mechanism in order to maximize happiness. And you'll learn that to be happy, we must learn that we have another image besides the external one we see in the mirror. We have an inner self-image that is the result of what we are and what we think we are...and this image we create depending on what aspects of the success or failure mechanisms we use. This in turn gives clothing to our personality. Getting the happiness habit means that we can use our imagination properly. Getting the happiness habit means that we become our own plastic surgeon and, without the use of a magic scalpel, perform magic on our self-image, constructing a self-image we can live with by removing the scar on it through understanding - an inner scar we put there with our own mental and spiritual bands because we didn't understand. 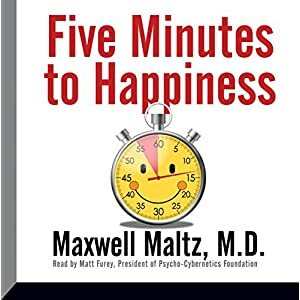 In Five Minutes to Happiness, you'll spend five minutes each day to reinforce these key ideas and to pave the way to a joyous life adventure. If you are hitting a relationship rough patch, it can be difficult to move forward. Sometimes people in relationships feel like all they are doing is focusing on the troubles in life - but for good reason. The thing is, relationships are oftentimes what complete people's lives. Therefore, when a relationship is hitting a rough patch, it can be quite difficult to think of anything else. 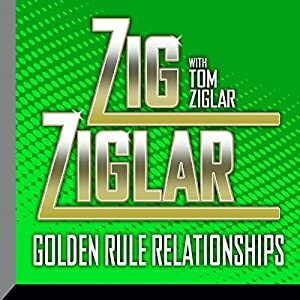 Zig Ziglar speaks about the importance of relationships in his recording Golden Rule Relationshipsand provides valuable insight for anybody in any relationship, from romantic to platonic. For anybody experiencing rough patches in their relationships, this classic Zig Ziglar recording will be instrumental in helping to discover how you can go about sewing up the holes that may have begun to appear in your relationships. Everything in life is a mind-set. Everything you want and everything you don't want is always merely a few thoughts away at all times. Whether you're a seasoned sales veteran or just now beginning your first sales position, Secrets of Closing the Sale provides you with practical advice and effective questioning techniques that you can use to transform prospects into clients. Learn step by step over 100 specific closes and over 700 questions that lead the prospect to the decision table. 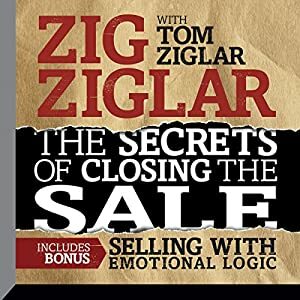 In this newly updated recording, not only will you get to hear timeless lessons on closing the sale from Zig Ziglar that have helped hundreds of thousands of salespeople for more than a generation, but you will hear Zig's son, Tom Ziglar, discuss how these ideas are even more relevant in 2015. Tom is the president of Ziglar Training Corporation, the author of the newly released book Live to Win, and a successful platform speaker in his own right. Plus a bonus recording: how to use emotional logic in the selling process to increase your closing ratio. Close with Supreme Confidence - Attract Superb Customers and Big Checks Without Resistance and Without Using High Pressure! Quickly become a "master closer"
Sell successfully even in situations where your self-image insists you're in "over your head"
Zero Resistance Selling shows you how to literally "eprogram your self-image to help you attain your loftiest selling and career goals. 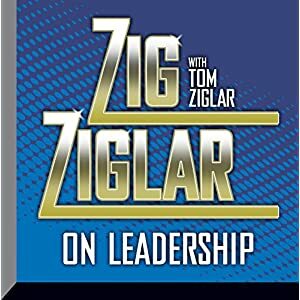 In Ziglar on Leadership, world-renowned author and speaker Zig Ziglar, with a special introduction and updates by Tom Ziglar (CEO of Ziglar Corporation), teaches timeless principles of leadership that can help you become a strong leader in any vocation. 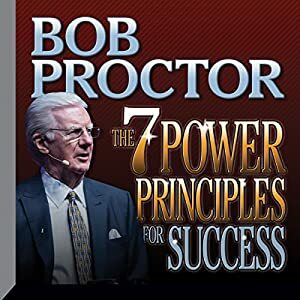 Not only that, Zig and Tom will help listeners develop a deeper understanding of success by understanding principles of achieving success in life and business. A positive attitude is key to becoming a good leader and learning how to build people up in order to keep your business growing. Develop a positive outlook on failure, and understand why it is an event and not a person. The manner in which you treat people will pay rich dividends. Since everyone is born with leadership qualities, you will learn exactly how to develop these success qualities in your career and life. Learn the secrets to wealth from "The Weekend Millionaire". 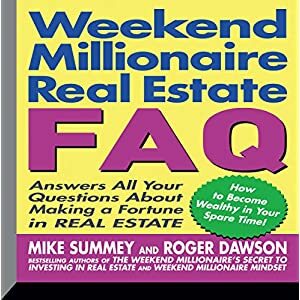 In their runaway best seller The Weekend Millionaire's Secrets to Investing in Real Estate, Mike Summey and Roger Dawson gave listeners a blueprint for making a killing in real estate in their spare time. 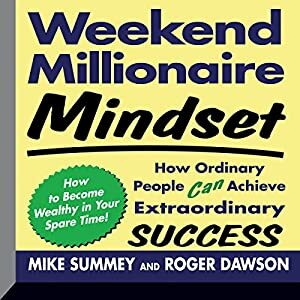 Now Summey and Dawson take listeners inside the minds and hearts of super-successful entrepreneurs, showing them how to think and act like winners and realize their dreams of financial freedom. This timeless masterpiece has been expanded by the author offering time-tested principles for achieving authentic, lasting success, combined with current research in high performance behavior and supported by anecdotal evidence from the lives of "winners" in many different areas of society. It's for you if you have never really succeeded, if you want more of the same success you now enjoy, or if you have made it, lost it, and would like to get it again and keep it. 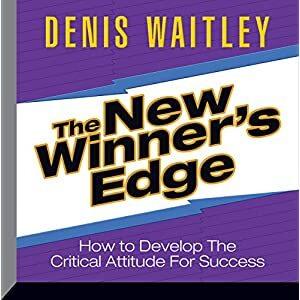 Denis Waitley wants you to understand and internalize how to develop that critical attitude for success -- that little difference that makes all the difference in the world -- known as the winner's edge. At a tipping point in history, as we are being bombarded by the search for some magical panacea or secret formula for our individual and collective frustrations, The New Winner's Edge is a refreshing contrast to the latest fad books on fame and fortune, and is characterized more as an enlightening fact book, with concepts you can trust, internalize and act upon on a daily basis. What is that special "edge"? Why "win-win" replaces the obsolete concept of "win-lose"
Buying a home is probably the most stressful negotiation in which you'll ever be involved, for two reasons. First, it's probably the most expensive negotiation of your life, and second, it's one that you are likely to have a lot of emotion over. 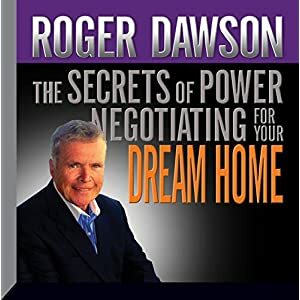 How would you like not only to take the stress out of that negotiating process but also to ensure that you have the best chance of getting a deal on the home of your dreams? The pros and cons of negotiating with a "for sale by owner". Negotiating gambits for both the listing agent and the selling agent. Why you should never say yes to the first offer. Why you should ask for more than you expect to get. The art of "The Flinch" and how it can save you big money. How to play the role of the reluctant buyer to get an edge in the negotiating process. There are always a few opportunities in your business life that cause a tidal wave of changes in how your future works out for you. Certainly which college you chose to attend and what career path you choose. And there are personal factors that play big roles, such as the person you marry, the children you have, and the friends with whom you hang out. The one business skill that tops them all is your choice of company for whom you work. Make the right choice and it could lead to great fame and fortune. Make the wrong choice and you will wallow in despair for decades to come. 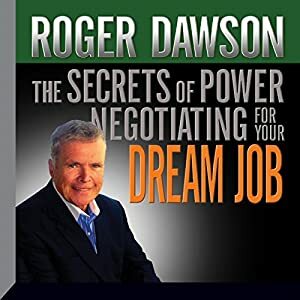 In The Secrets of Power Negotiating for Your Dream Job, negotiation expert Roger Dawson will show you how to negotiate a dynamite compensation and lifestyle package from your employer - be it your current employer or a new employer - so you can create the conditions consistent with your vision of your dream job. A great compensation and lifestyle package means more than just a great salary (although it certainly means that!). The skills you learn will also help you to negotiate a great bonus and an excellent benefits package and to negotiate the right environment and opportunities for you to grow your skills. Americans probably do more negotiating on car lots than anywhere else. However, most of us are at a disadvantage, since while we may buy an automobile every two or three years at most, the dealer gets to negotiate the price of automobiles day in and day out. They have a hundred - a thousand - times the experience that the typical car buyer does in negotiating. 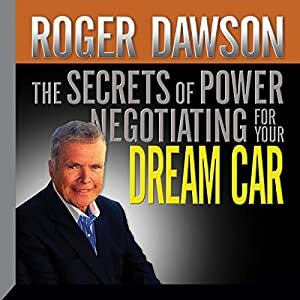 In this idea-packed program, The Secrets of Power Negotiating for Your Dream Car, Roger Dawson, one of the most renowned authorities on the topic of negotiating worldwide, will help you to level the playing field. By giving you several negotiating gambits, tips, and skills that you can use when you negotiate the price of an automobile, it will more than compensate for all that extra experience the car salesperson has. Whether you are buying a new car or a used car or even leasing a car, these techniques will enable you to walk away with the exact car you want for thousands of dollars less than you expected to pay. Answers to your real estate questions to help you think, act, and invest like a millionaire. How long should I wait before I quit my job and invest in real estate full time? Do you recommend 15-year or 30-year mortgages? Should the utilities be in my name, the management company's, or the tenant's? Do abandoned properties make good purchases for investors? What is a direct principal reduction loan? Is it really possible to buy properties when I have no money to put down? What services should I expect from a CPA? Harry Dent has been predicting for some time that we are about to enter a prolonged downturn, one that will be looked at by historians as a classic economic depression, due to demographic factors: one of the largest generations in history - the baby boomers - are leaving the workplace, either due to planned retirement or involuntarily (due to layoffs or not being able to find work), which will have a profound impact on all sectors of our economy. This economic downturn could have been swifter and the pain much less had the Fed allowed it to happen naturally. However, due to several rounds of quantitative easing, essentially pumping "free money" into the economy, the Fed has not only delayed the inevitable, but they have ensured that the downturn will be much longer and much more severe than it could have been. 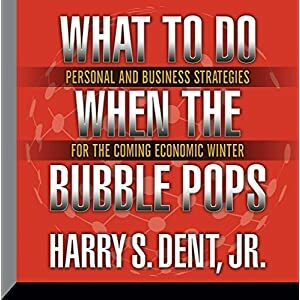 Harry Dent believes that the Fed cannot keep the bubble from popping much longer - and when it does pop, every individual will need to be prepared for a period he calls an "economic winter". In this program, you'll learn the personal and business strategies that will be essential to protect and preserve your assets and the few areas of the economy that will still do well during this winter period. This is essential listening for every American citizen.